The owners of Wrapco are actively involved in every aspect of the business and passionate about print design and manufacture. 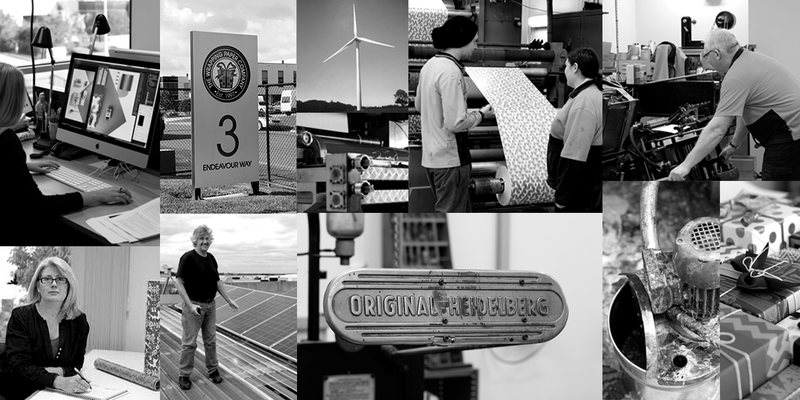 Wrapco was established with clear goals to protect Australian manufacturing jobs and produce well designed Australian manufactured products that have a positive impact on our environment. We choose to manufacture in Australia rather than import products at low cost knowing at each step of the process that we are making a difference. There is nothing more exciting than designing and making things. We get the opportunity to use our imagination to make products and we keep thousands of customers happy as well. Manufacturing is often associated with dirty factories and menial tasks. Modern manufacturing is very different, it's about design and using our creativity and efficiency to generate wealth and improve the well being of our work colleagues and us. Designing and making products for domestic and international customers is the only way Australia can grow beyond the capacity of just our land to support us, we are only limited by our creativity and our imagination. The team at Wrapco are concerned about our environment and the impact modern print manufacturing has. But, we also care about the Australian economy and keeping jobs in Australia. With this in mind, we have made the decision to make sure that the majority of products sold on this website have been designed and manufactured in Australia by Wrapco. These products have been produced using environmentally friendly production techniques and materials to ensure that they are kind to our environment and completely Australian made. To complement our range of Australian made products we import certain products from overseas. Wherever possible we have made sure that these products are environmentally friendly. Wrapco has also set up strong partnerships with Australian and International suppliers such as Australia Post and StarTrack who have put in place an Environment Management System, focusing on the environmental impacts of everyday operations. Australia Post is also a signatory to the Federal Government's Greenhouse Challenge program, National Packaging Covenant and Buy Recycled Alliance. All of us at Wrapco are very proud of the 60Kw Solar system installed in 2014. (Please see images and details in Blog) This system totally covers all of our factory roof and supplies over 100% of the power we currently use to manufacture our products. To augment our power usage in peak load times, Wrapco uses 100% GreenPower, accredited renewable energy. This power is replaced by our solar system at times when we are not here. All Wrapco employees are regularly informed about the environmental impact of their work. Wrapco is a proud foundation shareholder in Australia's first community based wind farm, Hepburn Wind and foundation partner in Take2, Victoria's pledge to act on climate change. For more information about Hepburn Wind please click here. For more information about Take2 please click here. All wrapping paper products sold on this website are 100% recyclable. All paper stock used in our products are sourced from paper industry chain of control, plantation forests. All inks and solvents used during the printing process are Australian made, and are either water based or ethanol based. All inks used do not contain heavy metals or other chemicals that may harm our environment. Wrapco endeavours to utilise 99% of all materials appropriated during the manufacturing process. All paper waste is recycled and ink waste is re-refined into clean solvent and residue ink solids, which are incinerated by an EPA controlled industrial waste disposal company. The designers and team at Wrapco always consider what impact any new product will have on our environment. This methodology is the key in determining if a product should be brought to market and enjoyed by you the end user. We thank you for supporting our mission to create Australian designed and made, environmentally friendly products.